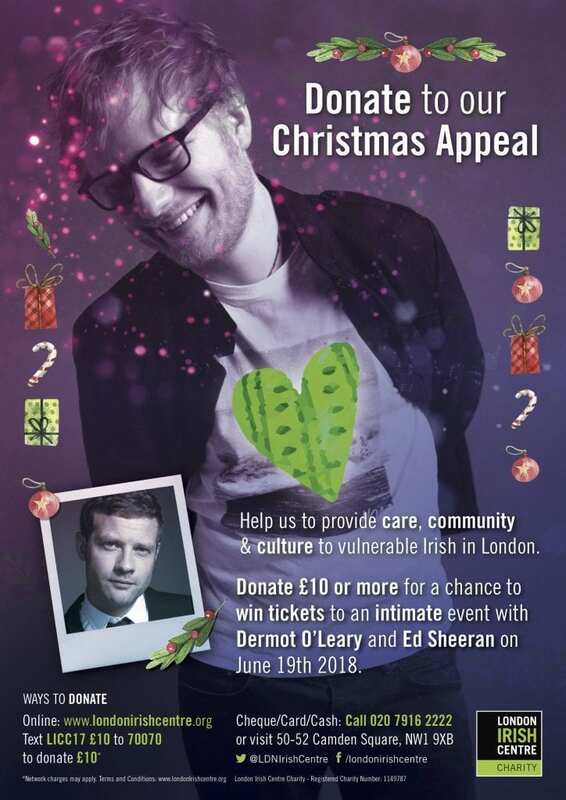 The London Irish Centre charity will launch their annual Christmas Appeal on Tuesday, November 28th, but this year there will be a very special fundraiser taking place. 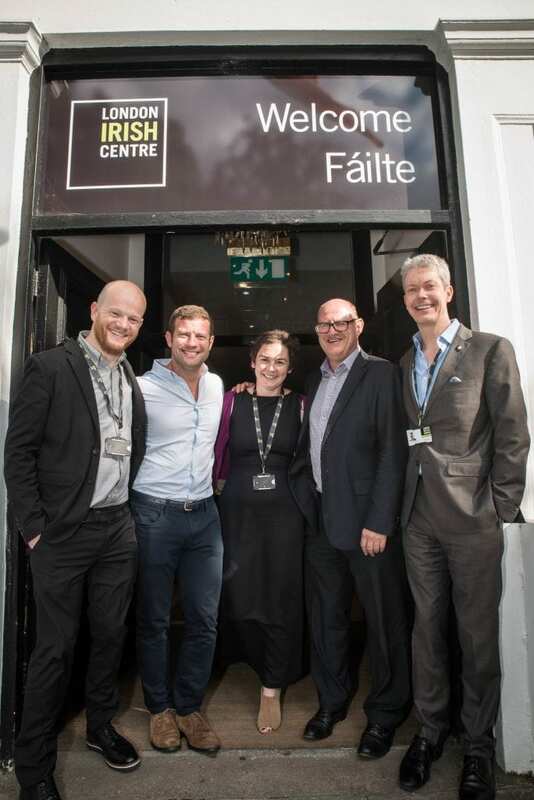 The annual appeal raises funds for the longstanding charity’s work in providing care, culture and community to the most vulnerable Irish in London. However, the big coup will be the intimate gala due to take place next summer with big names heading up the event – pop superstar Ed Sheeran and the charity’s patron, Dermot O’Leary. 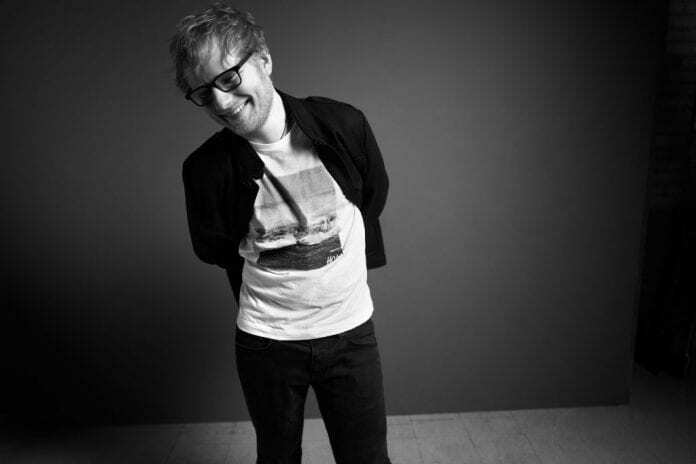 On June 19th, in the midst of his sold out 2018 UK tour, Ed Sheeran will join Dermot O’Leary and friends for a night of music, fundraising and entertainment at the exclusive gala event in the iconic Irish community centre.